Peter Wheeler, who was Administrator of Tristan during the volcano years, died on the 6th May 2018. His memorial service will be held in early September 2018. We are sorry to announce the death of Peter Wheeler, who passed away swiftly and unexpectedly on the 6th May 2018 at Salisbury Hospital, UK. He was cremated in a family ceremony shortly after his death. A memorial service in thanksgiving for Peter's life will be held in early September near Salisbury, to which Tristan islanders in the UK, friends, and members of the Tristan da Cunha Association are cordially invited. People wishing to attend are asked to email his son, Simon Wheeler at: simonwheeler@hotmail.com for details. 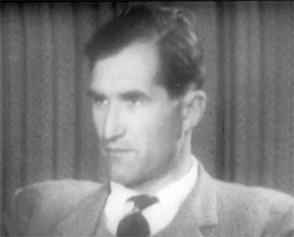 Peter Wheeler pictured at the time of the evacuation of the islanders after the volcanic eruption in 1961. 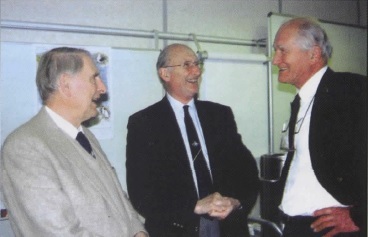 Peter Wheeler (right) at the Tristan da Cunha Association Annual Gathering 2002, with Michael Swales and Sir Martin Holgate. Peter was the Administrator of Tristan da Cunha at the time of the volcanic eruption of 1961, and played an important role during the time of the islanders' evacuation to England 1961 to 1963. We expect to publish a full obituary in due course.